We can’t wait to see plenty of Miranda over Christmas! The new series of Miranda when it returns to our screens on Boxing Day. And Call The Midwife will dominate BBC1 on Christmas Day. 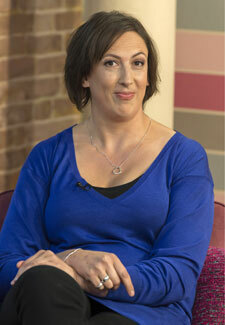 But Miranda Hart is unlikely to be tuning in herself – she’ll be having such fun with her family instead! ‘We gather as a family and go a bit mad because we love Christmas,’ she says.